Be Careful What You Say…or Tweet! It used to be that parents warned and admonished their children to be careful how they used their words verbally when with friends…or potential enemies. And the same held true for adults. Weren’t you taught that words were powerful weapons that could bring a person down, or bring them to tears? And you knew it was true, because you had most likely had the personal experience of being brought to tears at one time or another by someone’s cruel or hurtful words to or about you. Nowadays we have a whole new use of words: in tweets through Twitter. One hundred and forty characters of charm or harm, depending on your purpose. A recent article I read in the New York Times online revealed that some colleges and universities have gone beyond the traditional G.P.A.s and standard information on applications when it comes to screening and actually turning away prospective students. “They Loved Your G.P.A. Then They Saw Your Tweets” is the title of the article, and yes, you guessed it, admissions officers are now keeping track of social media mentions – both good and bad – from potential students. Say something nasty in a tweet to the world about what you’re experiencing regarding the college or university of your choice and you just might find yourself denied admission to the college or university of your choice! While claiming that they certainly try to ascertain the circumstances of the tweet and whether or not they understand as much as they can about it, it is obvious that it is just plain foolish to risk rejection at the halls of higher education because you have 140 characters of sarcasm or wit that you just can’t keep a lid on. Now, I ask myself: is this good or is it bad? Is it forcing young people to be more cautious about spilling their guts to the listening and reading world? Or do they even care about the potential consequences of words slung haphazardly into the ether? I don’t honestly know the answer to my own question. Young people and adults alike seem to have a problem with what they say, and this isn’t anything new. We’re all guilty there, aren’t we? 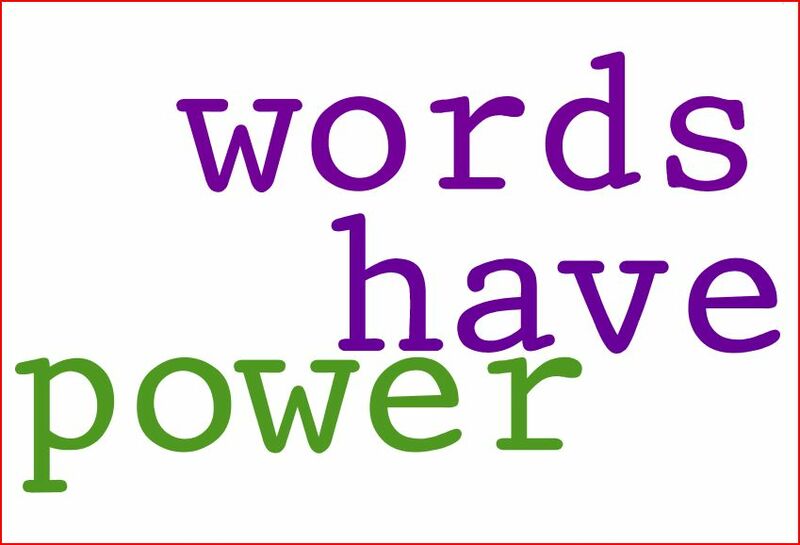 We allow our words to tumble out of our mouths without regulating them, and sometimes they come back to haunt us. The oral words linger in the atmosphere, linger in peoples’ ears and brains, and their effects often don’t drain away for weeks or months or years. But now we have words that can be saved and captured on our phones and tablets, printed up as hard copy, stored and filed away forever. Tweets and blogs and articles and what have you. Words with poison attached to them. Words with arrows at the end. Words that sting or leave a bruise. I know that I find myself having to be thoughtful about what I write in this blog every week. Sometimes I have an interesting, provocative story to tell, but I know that it might hurt someone’s feelings, so I don’t tell it. You know what? The world goes on spinning, and no one is really suffering because I decided not to injure someone even slightly with my words. Because I decided it wasn’t worth it to be witty at the potential expense of someone’s feelings. Of course, I’m speaking in this blog about negative words. I can’t say enough about uttering positive words about people. Try it sometimes. It is the most wonderful medicine in the world, and if we all committed to lifting the spirits and being positive about a person a day for the next year, I wonder what that year would look like in retrospect? I suspect it might turn out to be a much better year than we thought it was going to be for everyone involved. If you’re looking for an experiment in living, there’s a good one, a challenge if ever there was one. Why, I might take it up myself! So words can be a force for evil or a force for good. It’s a shame that what seems to stick in our minds most often nowadays is the former. Maybe, since there are so many more ways we can communicate now, it would behoove us to be more careful about how we use those words. Think about what we’re going to say more closely and thoughtfully. Decide if we really want to make that comment, utter that jab. Count to 10 before we tweet. Or at least count to 5. Books I’m reading (a few readers of the blog have asked that I write a short paragraph every week to tell you all what I’m reading, so here goes): “The Luminaries” by Eleanor Catton, which I don’t recommend. Too many characters, too much plot, too confusing. But I do recommend Malcolm Gladwell’s “David and Goliath,” which turns upside down many things we believe to be true, in a good way. I love his writing, have read every book he has written, and am never disappointed.